Starred Review. In an impressive debut that calls to mind such mystery thrillers as Martin Cruz Smith's Gorky Park, the pseudonymous Church, a former intelligence officer, provides a rare look into one of the world's most closed societies, North Korea. 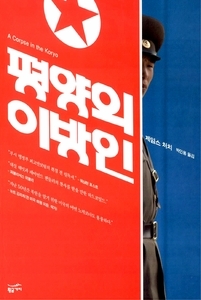 When Inspector O, a state security officer, is called on the carpet for botching a sensitive surveillance assignment, O soon realizes that competing forces in the military and intelligence hierarchies set him up to fail and that his personal and professional well-being depend on his walking a tightrope. The detective's pragmatic if unwavering commitment to the ideals of pursuing justice in the face of serious obstacles makes him a heroic figure who's well suited to carry future entries in what one hopes will be a long-lived series. Despite the exotic setting, Hammett and Chandler would have had no problem appreciating this hard-boiled narrative.